Natascha Münnich, 23 years old Intern from Germany is visiting K.R. 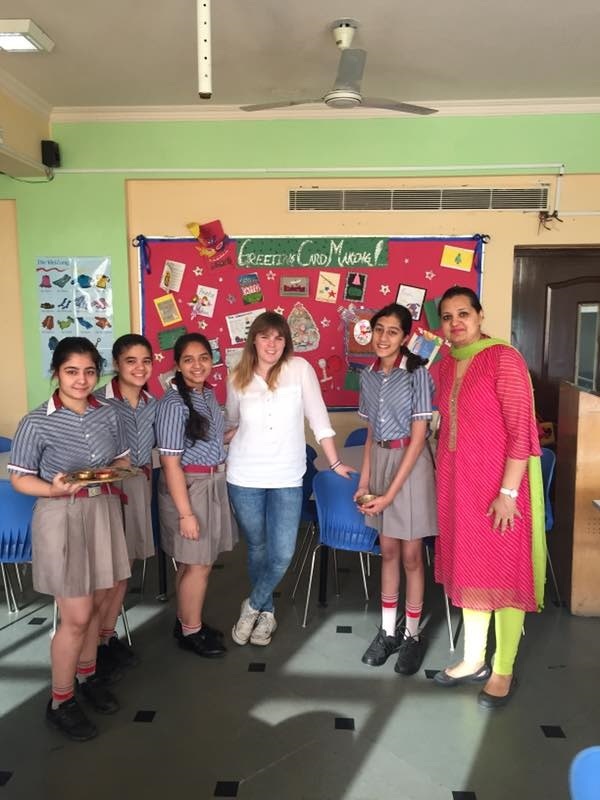 Mangalam World School, G.K-II to undertake her internship at within the framework of SCHULWÄRTS. 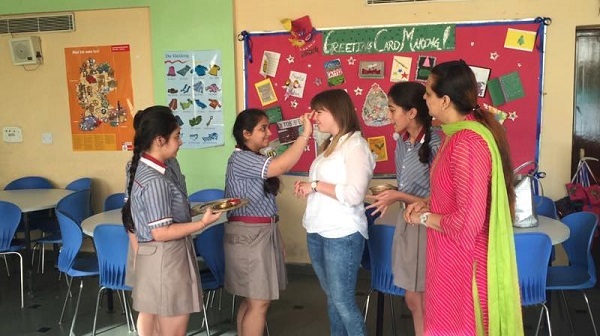 She was given a traditional welcome by the Principal Ms Alka Awasthi followed by an interaction with the staff. A time table has been chalked out to make the best out of her visit at K.R. Mangalam till May.